Borgfest is hosting three robots at the Robot Petting Zoo!! 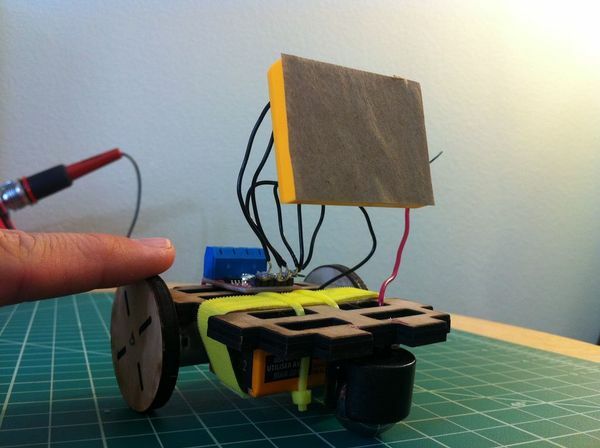 The Robot Petting Zoo brings out friendly ground & aerial robots for SXSW attendees to touch, operate, and even program. Robot handlers will explain the parts of the robot and how they work before setting kindly humans loose to interact, learn, and play. Spatially-oriented humans will get to play with robots whose functions mimic those of humans. Humans wishing to slip the surly bonds of earth will meet robots who have flown above disasters to gather critical data. Humans interested in Macgyver-esque robots will meet robots that can serve many purposes, such as flying while 3D printing. Creative and empathic humans will program Romibo to speak in different languages to calm and befriend young children in crises. Come meet these and many more robots that await your friendship at the Robotics Petting Zoo. Additionally, all Robot Handlers will give short presentations about their robots on a stage to an audience throughout the event March 15-17. Be sure to check out the schedule for great presentations by a variety of roboticists. Meet roboticist Ray Renteria‘s DAR-1, cleverly acronymically named after his children. 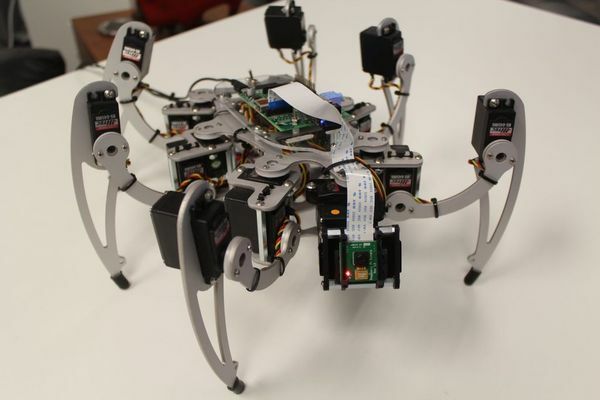 DAR-1 is an autonomous social robot of the hexapod genus. Curious about people, he’ll study your eyes and your smile with the intensity of a focused child. He’s shy, though. If you get a little too close to him, he’ll get nervous and try to back away. See how long you get him to keep following your eyes by looking deep into his. DAR-1 is a social robot with the purpose of challenging people’s notions of what it means to be “alive.” He is a showcase for inexpensive technology that can be brought together to produce a highly performant and nimble robot for various applications. DAR-1 demonstrates the power of the open source OpenCV computer vision technology. Bradley Knox says his Emoters are robot pets that are both simple and lifelike. They live in a small cage, where they live their lives. Emoters are interested in people, but they’re more engaged with each other and the world inside their cages. Like a cross between a Tamagotchi and an ant farm, Emoters fill a role somewhere between a real pet and a video game. In this exhibit, primitive emoters are on display. They are bigger and less intelligent than the Emoters that will come later. Yet like later Emoters, they move around on their own and interact with people. Nikko, is named after the main flying monkey in the Wizard of Oz, says Dave Santilena. 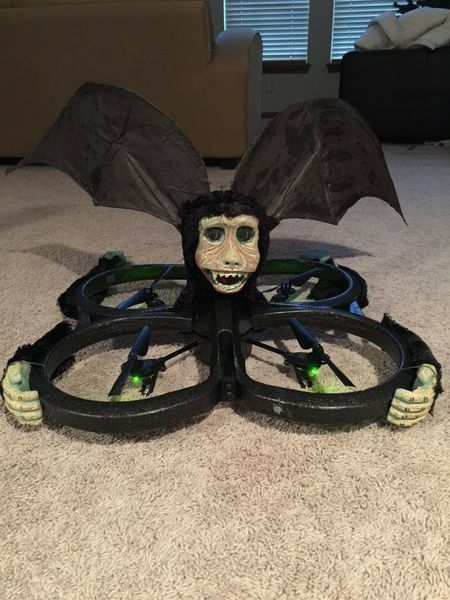 This flying monkey is a remote-controlled aerial robot in a monkey costume. It has two onboard cameras and uses an ipad as a controller. When airborne, you will be able to see what Nikko sees as he flies high above the crowd by looking at the monitor. Aerial robots or drones have many specialized uses such as aerial video, police surveillance, pipeline inspection and many others. Nikko’s sole purpose is to entertain, scare children and small animals, and perhaps lead to interesting conversations. Nikko will not be able to be pet but the controller will be covered by flying monkey fur so you will be able to get the idea of what he feels like.